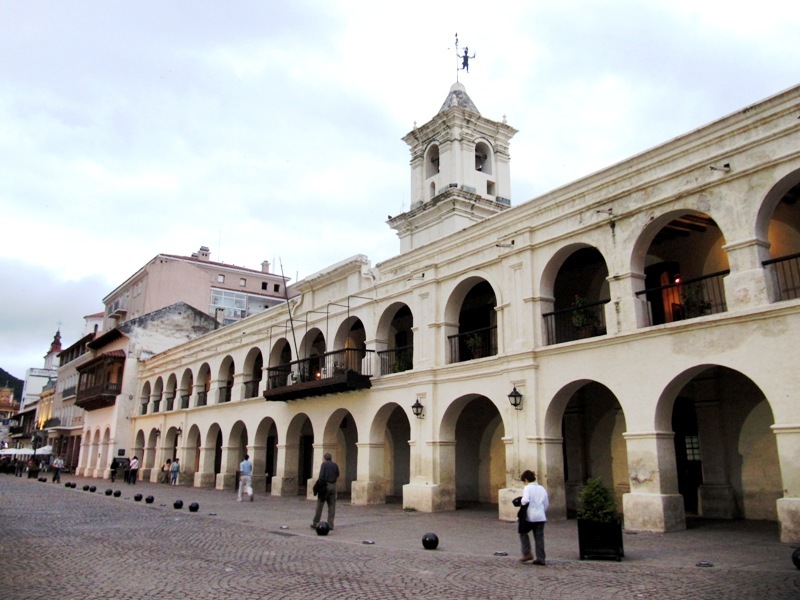 We had two more towns scheduled for Argentina before arriving in Bolivia. First we hopped to Salta. 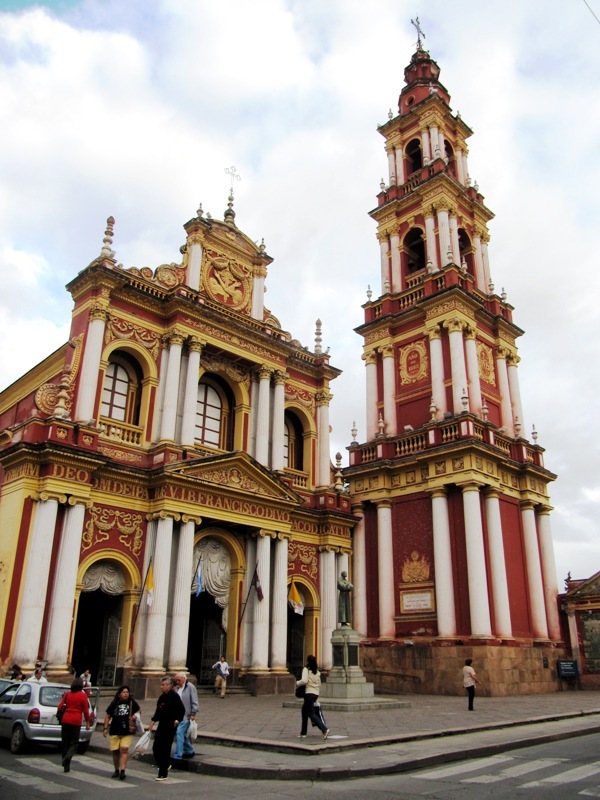 I’ll admit I had high expectations for Salta and for this I blame House Hunters International. This is one of my favorite TV shows though I only catch it occasionally on my parents’ cable. The basic formula is this: a person/couple/family is moving abroad, they walk through 3 homes each with advantages with disadvantages, and then there is the suspense of guessing which one they choose! I just love seeing how people live in other countries. Before the trip I caught an episode on Salta. The family moving there had been traveling for a year looking for a new place to call home and this is where they moved. I stepped off the bus expecting to be charmed. Instead, on our walk to the hostel we encountered stagnant rain puddles and constant cars shoving their way through intersections without signals or stop signs. Overall, we were not too impressed. We eventually found the pleasant bits: a café lined central square, ornate churches, a bustling market where we drank beer while watching a futbol game. The city started to grown on me but nothing enticed us to stay too long so we skipped on to Humahuaca. Humahuaca is a tiny town in a huge canyon of the same name. The town is cute but a little tourist ready so we spent our afternoon there exploring the surrounding nature. 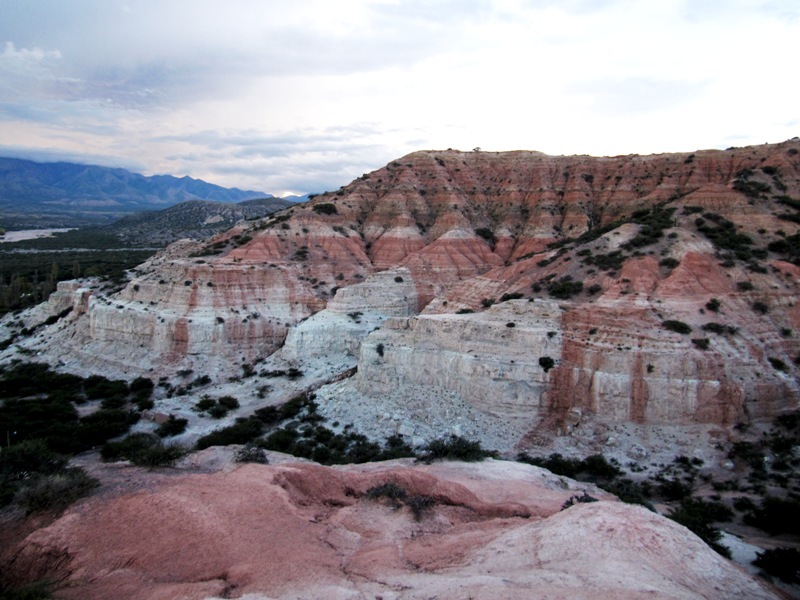 Just 30 minutes from town and we were on a cliff overlook observing the striations of red and white. Back at the hostel we cooked up an easy traveler’s dish – tortilla española. 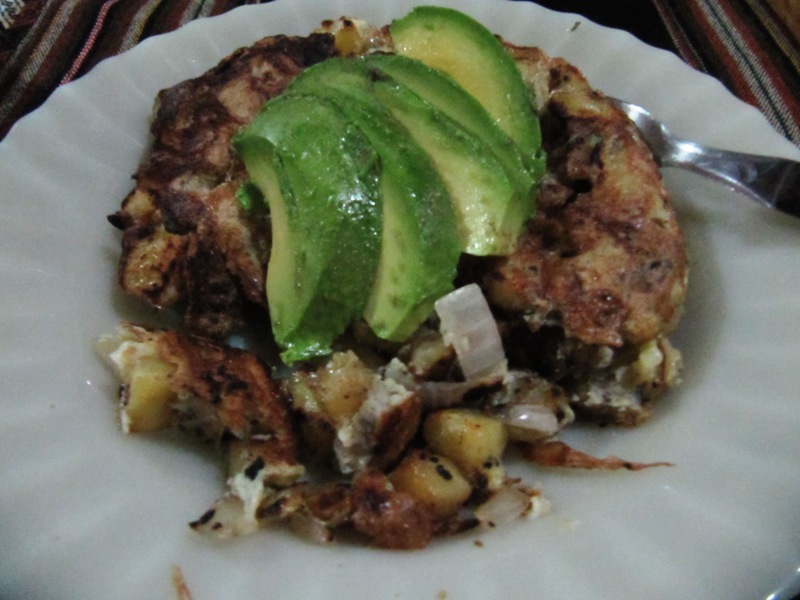 Basically, this is an omelet with thinly sliced fried potatoes and onions. We topped it with avocado, paired it with wine and were good to go! While cooking our meal it was fun to rub elbows (literally) with other travelers in the tiny kitchen. We swapped stories of where we’ve been and where we plan to go. 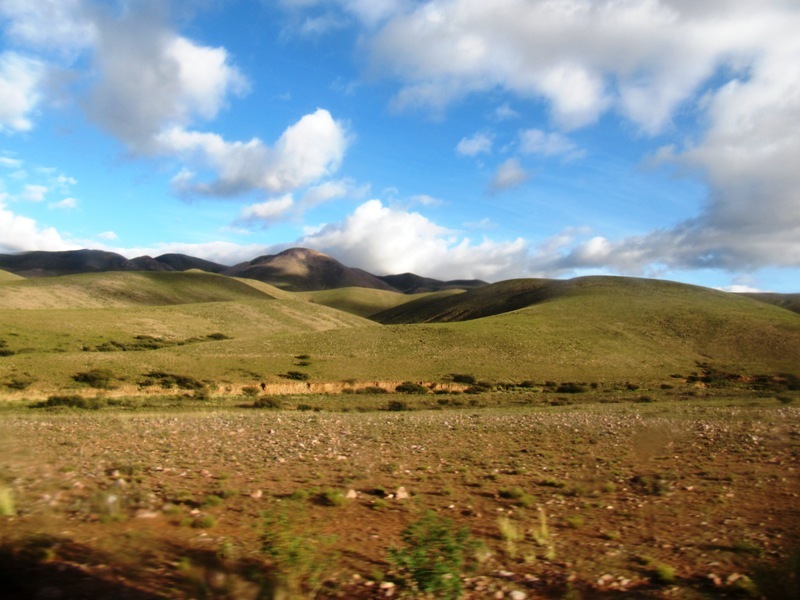 The next morning we crawled out of our warm beds to catch an early bus to the Bolivian border. 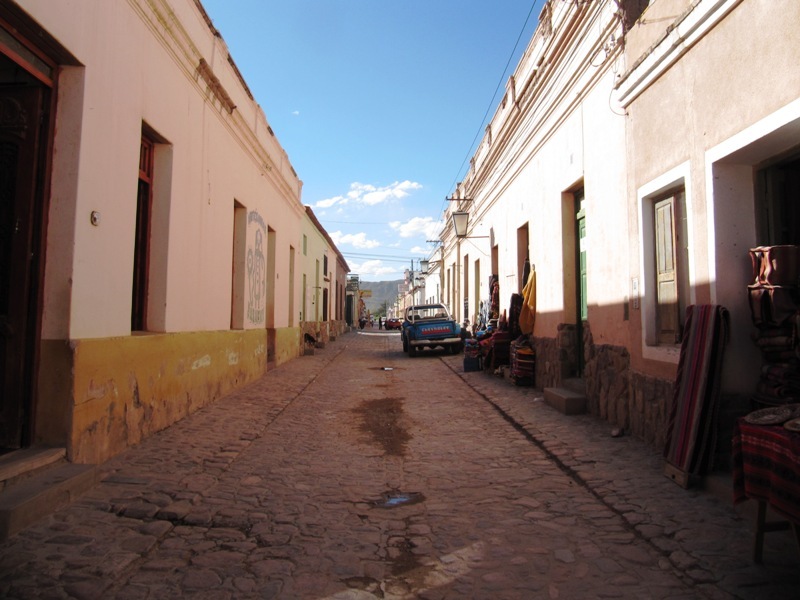 Salta and Humahuaca proved to be enjoyable pit stops before we jumped out of Argentina.